On Voice of Israel, Simcha Gluck catches up with imonomy’s Marketing Director Avishai Bitton and discusses how the quickly growing company is changing online advertising for everyone. Simcha Gluck: This is Simcha Gluck from Innovation Nation here at Voice of Israel and we have someone pretty awesome on the line right now. This is Avishai, he’s the director of marketing for a really cool company called imonomy. It’s interesting stuff – a combination of image and textonimy. Did I get that right? Avishai Bitton: Yeah you got it exactly right. SG: Okay, perfect. Avishai, why don’t you tell us a little bit about what imonomy is and fill us in on the background. AB: Okay. 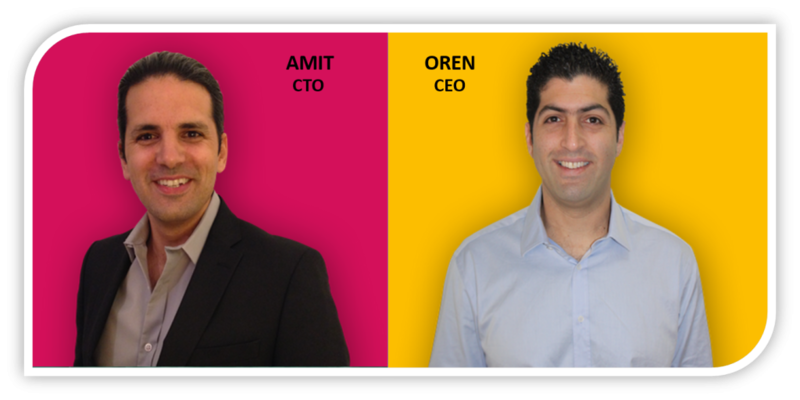 So, imonomy is an Israeli startup that was founded in 2012 and we built a platform for online publishers and advertisers to monetize a real estate that has not been monetized until now, and that’s the images. So that’s the advertising platform. We help online publishers monetize an area that they’ve never monetized before. Online publishers are experiencing a decrease in revenue from tradition banner adverts and we thought that by giving them a solution to that issue it will creates a new revenue, does not irritate the user and brings a higher level of advertising experience to people reading your site because ads are actually always connected to the text – this is contextual ads. SG: So just to punch in because I think this is really key for our listeners, the impression that I have is very often when you’re on a website it’s very common for articles to have pictures already associated with the article, because who the heck likes reading text anyways? And in addition to the images that come along with the article, very often you have separate images which are basically for advertising, or banners ads, things like that. What happens is the images get to be a little too cumbersome. 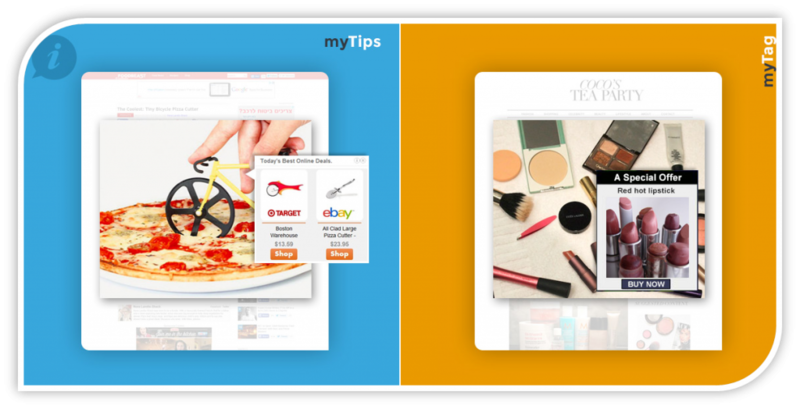 So what you basically come in and do is you clean up a lot of the banner ads by inserting into the images that are already in the right context for the right content. You basically put the right banner ads in the right places. 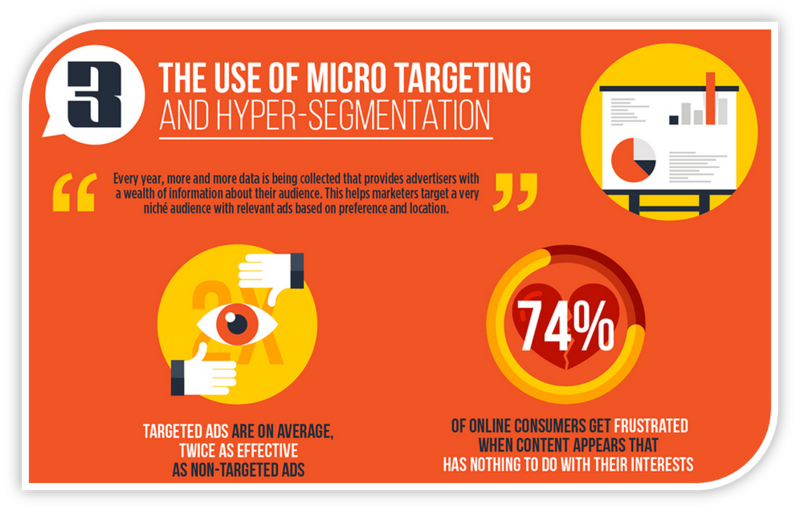 This infographic from B2Community shows exactly why imonomy is using unique technology to target the right audiences. AB: Exactly. But even more than that – we don’t clean up the banner ads because there’s nothing to clean up. Users are already lying to themselves. The advertising that is already at the top of the page, the bottom and the right side box – we are completely blind to them. They’ve been there already for the last ten or twenty years on the web and we just ignore them out of habit. SG: I’m just so happy we no longer have those images where you have to punch the monkey. I hate those things. AB: Or shoot the duck! SG: So this is pretty cool. You’ve essentially figured out a way to not only insert the link or the advertisement into the actual picture, but imonomy also gives the people the images and you also have the ability to recognize the content and insert the images for the right advertisements in the right place. AB: Yeah. So this is one of the ad-ons we give our online publication clients, because there is another issue that we knew we knew how to solve. A lot of online publishers are struggling to find copyright for the images. Not everybody has $500 lying around to buy an image from one of the stock photo sites that are now selling images in very high-level prices because they can due to copyright law. What we do is we already know what is happening in the article and understand what it is talking about. We save you time from having to go through those free stock photo sites and look for a copyright free image. With our understanding of the text, we just go to the database that we have – 10 million images – and we insert the image automatically. SG: Now I have a question. You and I both know that when it comes to reading content online no one loves advertising; no one loves being advertised to in the first place. Do you feel that this is a way of being friendlier or nicer or easier for people given that 10/10 people do not love the advertising they see online. So is this a good, friendlier way to get in there? AB: You are completely right and I would also say that 10/10 do not like the advertising but if you look today at the online advertising that you see it is something that is out of our control. You can decide to click on them or ignore them but they stay on the page. What imonomy does with the imaging is that the advertisement appears only when you when you hover over the image. So what happens is that as a user you engage with something and only they get the ad. It is not in your face whether you engage or not. So the way we see it at imonomy is if you’re not engaging with the area, why should we take that space to distract you from what you’re reading. But if you’re already engaging with an area with your mouse then it will appear. And the fun part is, if you move your mouse a bit back to the text, the ad will go away. You actually have control of seeing the ad or not. SG: So it’s like if you want to talk to me then awesome, we can have a conversation. And if you don’t want to, that’s also great. AB: Exactly. It’s a new kind of advertising. We give users the control. SG: Now you’ve said it’s been around since 2012. I see you’ve already been featured in Tech Crunch and Huffington Post and Nocamels, which is a great blog here as well. What are some of the accomplishments that you’re most proud of over the last few years? AB: I think one of the biggest accomplishments has been getting big brand support and using our psychology and joining the movement of using the image advertising. Which is a fairly new product – until not so long ago this was not monetized; no one wanted to put an ad in an image. It was unheard of. SG: Would you be able to name drop a little in terms of your larger companies or clients? AB: Long term clients are AOL, CBS, and with large online publications in Argentina and all kinds of European countries that are using it. We are going and we have some tasks with some really big names that I can’t disclose yet but when it gets out I’d be happy to be on the show again. SG: Congratulations. What’s the background story? Who are some of the creators of this company and where did the idea come from? AB: The two founders are Oren Dror and Amit Halawa-Alon andthe story is kind of interesting. They worked in the past in the world of online publications and they worked in the past with the company that bought AOL, and after they left they focused on what problems do publishers have? What problems are unsolved? Like I said, online publications have seen a decrease in revenue from year to year. The payout they are getting from online advertisers are going down because there is so much competition on the page. Another huge issue is, how much time can someone spend looking for images? You know, even when it is important, it is very time consuming. So they solved both issues: we got two birds with one shot. So that’s how the idea was born. They really wanted to find something that would give an added value for publishers and I think that is also for advertising. If you think about it, advertisers are always looking for more space to advertise. The minute that we take an image and make it another place to advertise, another piece of inventory they can fulfill, advertisers are happy. So, we are also giving the advertisers a huge added value by giving them a huge space that they couldn’t advertise on before in technology. SG: You know just as someone who is a very big fan of Seth Godin, which is all about building tribes and that, especially nowadays, the idea of simply shouting and yelling at people to check out what you offer. If I’m going to be reading something anyways about a specific topic then you essentially want to offer me a deal that is specifically about the content or associated with what I am reading right here right now –well that’s a really good fit. I think Seth Godin would love that because this is the ability to actually speak with someone who is engaging with you as opposed to just shouting and hoping anybody will listen. AB: We also are adding to the contextual elements through an element called targeting. What we do is we get a lot of data from all kinds of other sites that you visit and we decide, based on how interested you are in the product that you’ve visited on that e-commerce site, then we will show that again on one of the sites that are using our technology. So let’s say you are really debating between using a new Nikon or Cannon camera and you really did the homework and everything and for some reason, you had to leave your laptop and stopped the shopping process in the middle of it. With one of the sites using Imonomy, we can use that data and show you the cameras that you were browsing on to remind you, “Hey, you were in the middle of something.” So it’s an even better effort, it is regarding what is actually connected to you and what you are doing. SG: That’s excellent. I like it, it’s really good. What do you think is the next big step in Imonomy? AB: Regarding our future, it is very exciting. 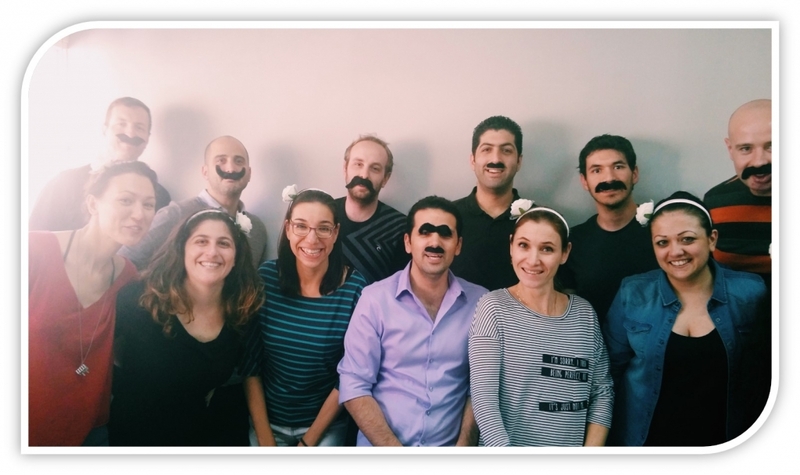 Last year in 2014, we were around seven or eight people in the office. Last holiday we hit a huge number of 20 employees and now we’re around 25. AB: We’re growing really fast and it’s very exciting. We are looking to attract around 50 people by the end of the year and its really going well. We’re expanding into new markets and we’re also developing new ways of ads if its in image-video ads, if it’s in mobile ads, and we’re really creating a product that helps online products find articles that are relative to them and that really attracts advertisers and ad exchangers. We are really shooting for all directions and doing a great job. I think that in one or two years, imonomy will be a household name brand in the advertising space worldwide. SG: Well, that is really awesome and I want to congratulate you on all the growth. I want to congratulate you also on being an amazing company that is really starting to looking to sharpen its edge and provide value one to the people who are seeing it and two, to the advertisers as well. Avishai thank you so much for joining us and keep up the awesome stuff. Thank you to Simcha Gluck and Voice of Israel for hosting us on their show! It was a great experience and will keep you updated with more exciting news.